Baby-G BG-6903-2These Baby-G models have been specially designed with runners in mind. 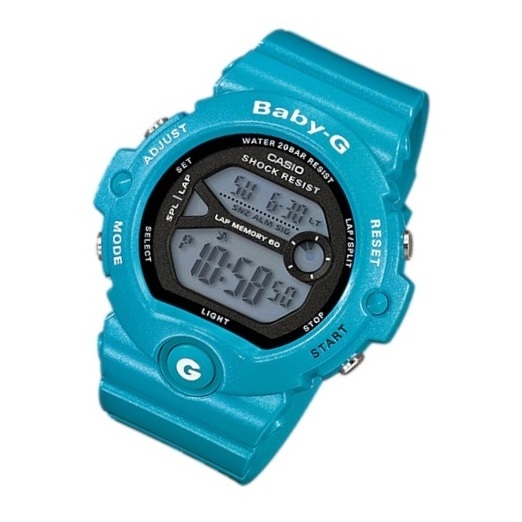 The stopwatch is equipped with memory for up to 60 laps, and a large case design enables easy reading of elapsed time and lap times while running. An Auto Light function automatically illuminates the display whenever the watch is angled towards the face for reading. 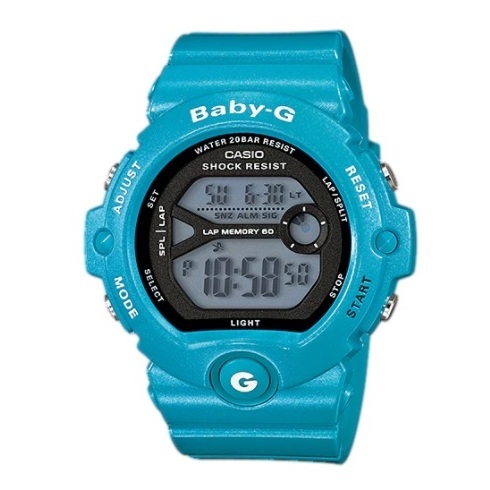 Everything is protected by Baby-G BG-6903 shock resistance and 200-meter water resistance. 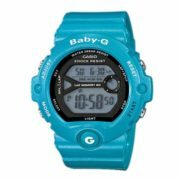 The Baby-G for runners is available in a choice of colors that have been selected for coordination with sportswear and running shoes.